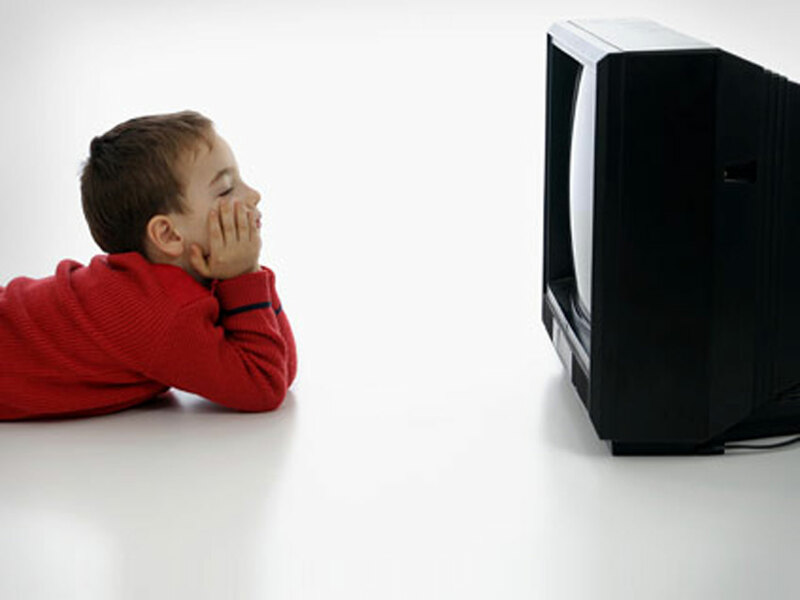 Kids mimic what their parents do -- and a new study on TV-viewing habits proves just that. Research published July 15 in Pediatrics shows that the amount of time parents watch TV is connected to how much TV their children watch, even more so than the location of the TV in the home or the family's rules for television watching. "The best predictor of children's TV time is their parents' TV time," study author Amy Bleakley, a policy research scientist at the University of Pennsylvania's Annenberg Public Policy Center in Philadelphia, said to HealthDay. "If Mom and Dad automatically turn on the TV when they have free time, it's likely that their kids will learn to do the same." The American Academy of Pediatrics suggests that children and teens should only be allowed to use "high-quality" entertainment media for one to two hours per day. In addition, the house should have "screen-free" zones like the children's bedroom, where there are no TVs, computer games or video games. The TV should be turned off during dinner, the academy adds. Children under the age of 2 should not be allowed to use entertainment media or watch TV. "A child's brain develops rapidly during these first years, and young children learn best by interacting with people, not screens," the AAP said in a statement. Researchers interviewed 1,550 parents with children 17 or younger. Parents were asked about the amount of time they spend watching TV or DVDs, how much time was spent watching movies or shows on computers, the number of TVs in their home, where the TVs were located and how many rooms had computers with internet access. They were also asked how much time their children watched TV daily, and what the family rules on TV viewing were. An additional 629 adolescents aged 12 to 17 whose parents were involved in the study were asked to complete a questionnaire about their daily TV watching habits. Parents watched an average of four hours of TV per day, the researchers found. Children watched about three hours. Each hour of TV viewed by the parents was linked to an additional half hour of viewing time for children. Children whose parents watched more than the average also watched more compared to kids whose parents stuck to the four hours daily. "In general, we found that across children of all ages, the amount of time a parent spends watching television is strongly associated with their child's television time," Bleakley said. Parents' TV time had a stronger association to how much time children watched television compared to house rules on time limits, whether the children had a TV in the bedroom and whether the family was watching together. Parents who restricted television time only were able to cut down viewing times for children who were in the 6 to 11-year-old age group. Adolescents watched about one more hour of TV than their parents thought they did, the results also showed. The authors added that focusing on parents' TV watching behavior may be able to help them cut the TV cord for their kids. Teaching parents that their own habits influence their children may help stop their kids from spending too much time glued to the couch. A March study in Archives of Disease in Childhood showed that allowing a 5-year-old to watch more than three hours of TV a day was more likely to make him or her anti-social by 7 years old.